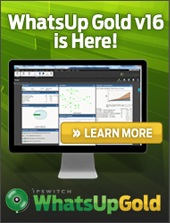 * For more than 50 Flow Monitor Sources contact us. Note: Remote Devices are required with this item - see below. 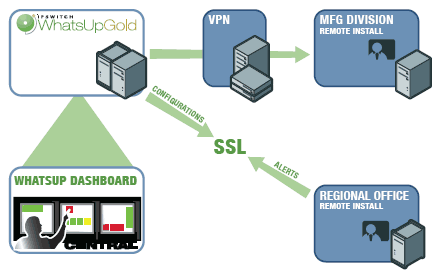 With powerful network discovery and mapping, real-time SNMP and WMI monitoring, comprehensive reporting, and the industry’s leading alert management capabilities, WhatsUp Gold Distributed Edition can help you stay on top of what’s happening in your IT infrastructure and ahead of any potential problems. 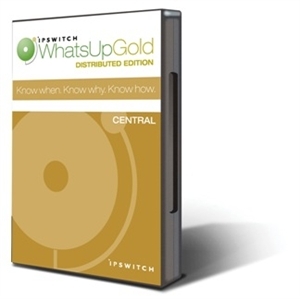 With WhatsUp Gold Distributed Edition, you can monitor and manage everything that business relies on to keep moving forward, including network hardware, devices, bandwidth, physical servers, virtual servers and your business critical applications.